Stitch Witch is back for her second Royal Bison! 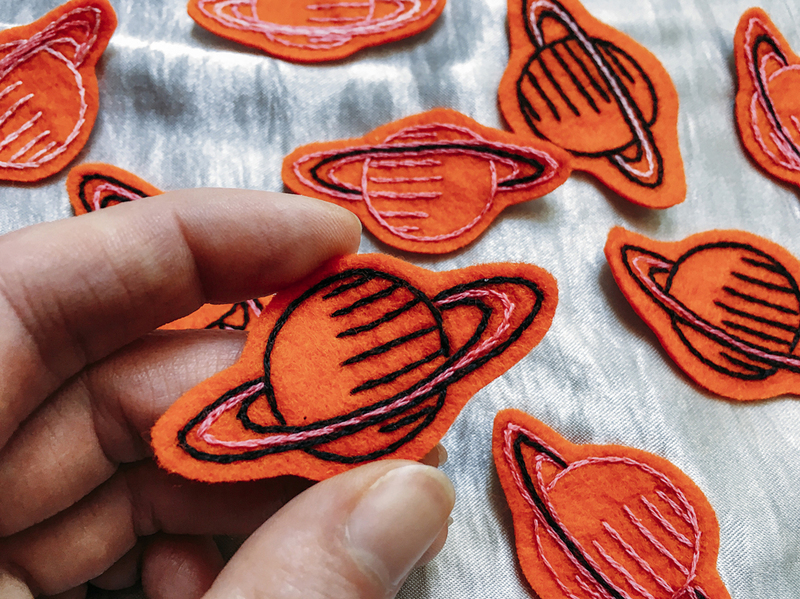 She first joined us in in the November market and she's back to share her whimsical, witchy, and one-of-a-kind handmade patches with you! 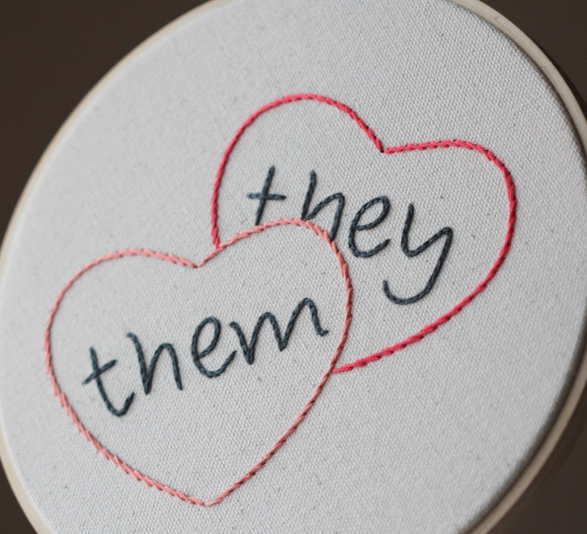 All pieces are lovingly hand-stitched by textile artist and coven leader, Shannon Fox. We are all super excited to see what she has in store this round! You can keep up with Shannon's progress on instagram (@foxshannon) and read on down below to see what makes Stich Witch tick. SW: I have lots of feelings and I love taking them from my brain and reimagining them into a tangible thing that I can share with other folks. It feels really magical when someone holds something I’ve made because it’s like holding a piece of my cute lil creative heart. 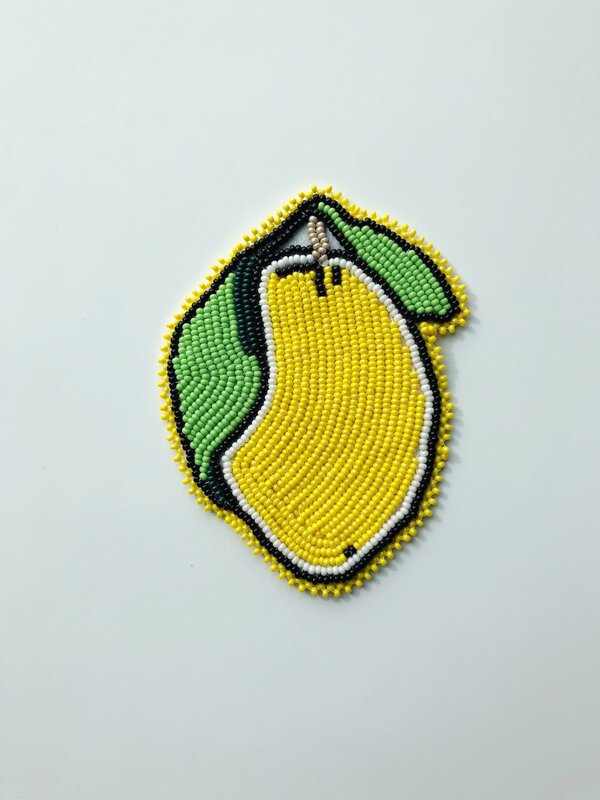 SW: I have much wider selection of beaded patches and larger one-of-a-kind patches with new designs (including a beaded lemon and 10” vinyl patch!). SW: I would like to work towards making a line of clothing (I also sew!) that incorporates my hand-stitched patch designs in a sartorial context. LG: Having access to a tightly-knit community for advice, support, and friendship. I also appreciate that although Edmonton may not come to everyone’s minds when someone says “arts hub”, but we have so many fantastic creatives here, and if you are one of those creatives you are very passionate about spreading that fact around. We’re more than just a river valley! LG: Objects you might find in a keepsake box, bold tattoo linework, and sentimental feelings. LG: A ceramic cactus ringholder made by Danielle L. Ceramics in 2016. SW: I feel part of a community that empowers, supports, and creates space for me to be my unique and wacky creative self. It feels truly delightful to create art in a community that other creatives understand and show up to appreciate, regardless of whether that community is two best friends or a room full of Bisoneers. 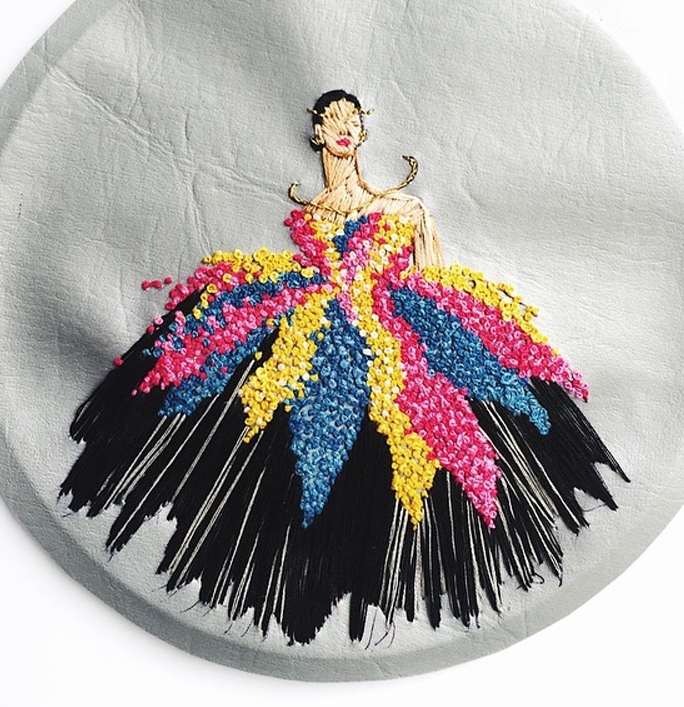 SW: Handmade textile work, Elsa Schiaparelli and her collaborative couture with the Surrealist art movement of the 1920s-1930s. The idea of magic, channeling it through a handmade item, and share that mysticism with others. SW: A print of a black cat holding a crystal ball that perfectly captures my ancient witchy soul from Emil Chu! Head on over to Shannons instagram (@foxshannon) to keep up to date on all the witchy activities she's getting up to! FB: Well, I’m actually based in Calgary but for me, a big part of being a maker in Alberta is challenging traditional prairie conservatism with bold and impactful statements. I’m hoping to have a small part in making Edmonton weird. FB: Intersectional feminism, contemporary pop culture and politics. FB: First timer here! But I’m really looking forward to scoring some cards by Homework Letter Press, patches from Hamburger Hands, and soaps by Boreal Folk. 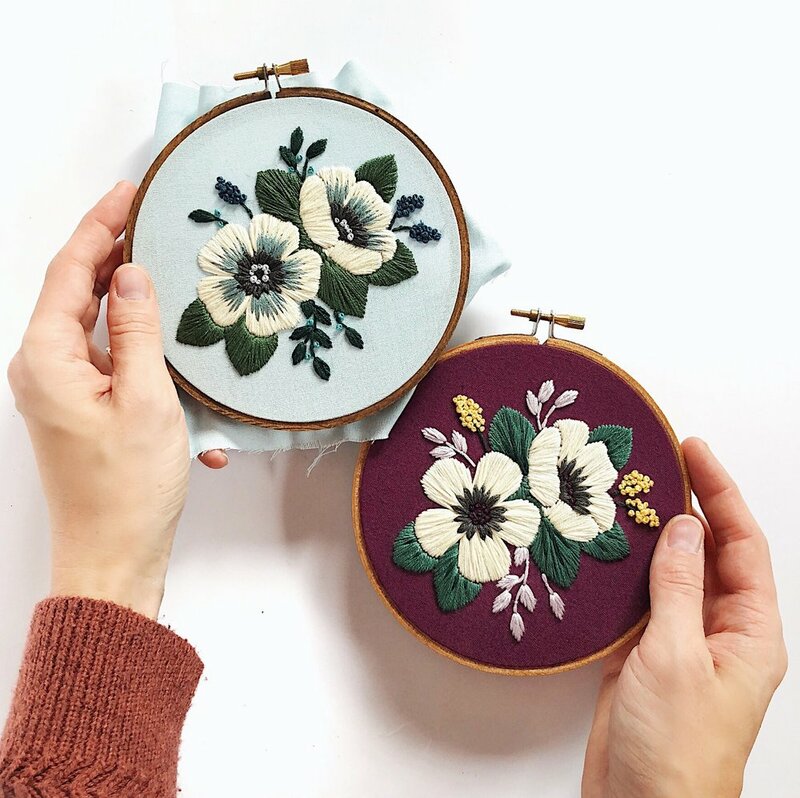 You can find more of Maria's work online at femmebroidery.etsy.com and check out this collection of articles written about her work, including: Fempotential, Paper & Landscapes, A Quarter Young, Three Snails, Avenue Calgary, and My Modern Met.